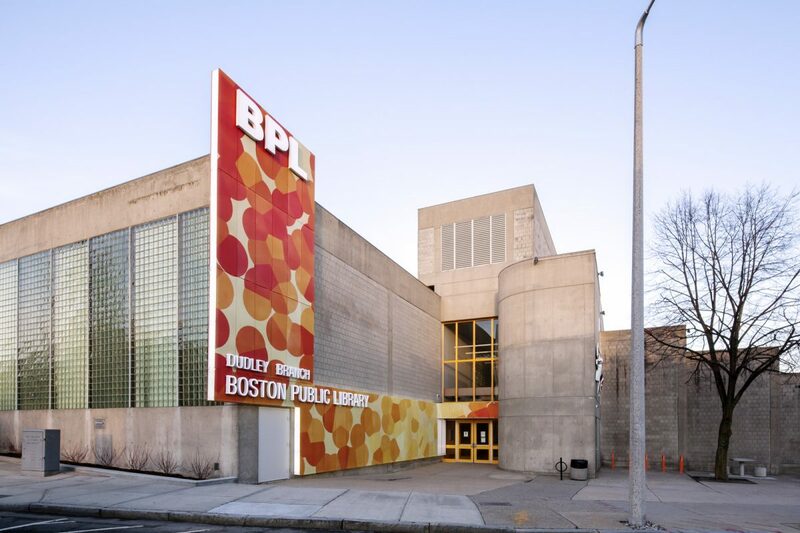 Opened in 1978, The Dudley Branch of the Boston Public Library currently finds itself in the heart of a rapidly changing Dudley Square Neighborhood. The Brutalist building’s introverted form is in need of rehabilitation and it no longer meets the programmatic needs of the library. 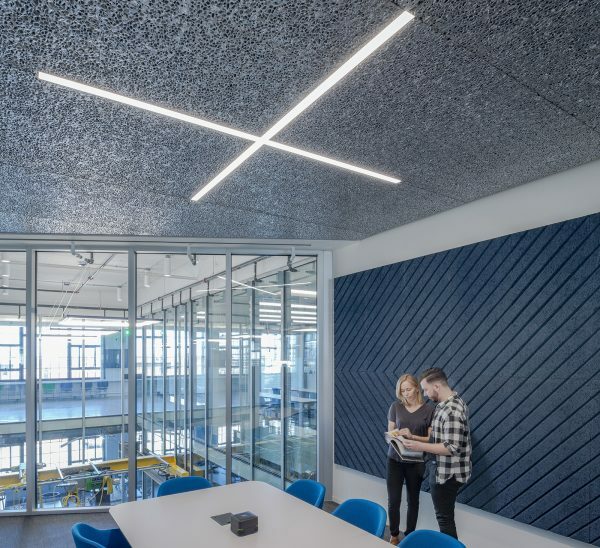 Utile addressed these issues in two parallel tracks—the design of a new entrance for the building and a comprehensive programming study for the rehabilitation of the building. The entrance design centers on a new signage marquee. 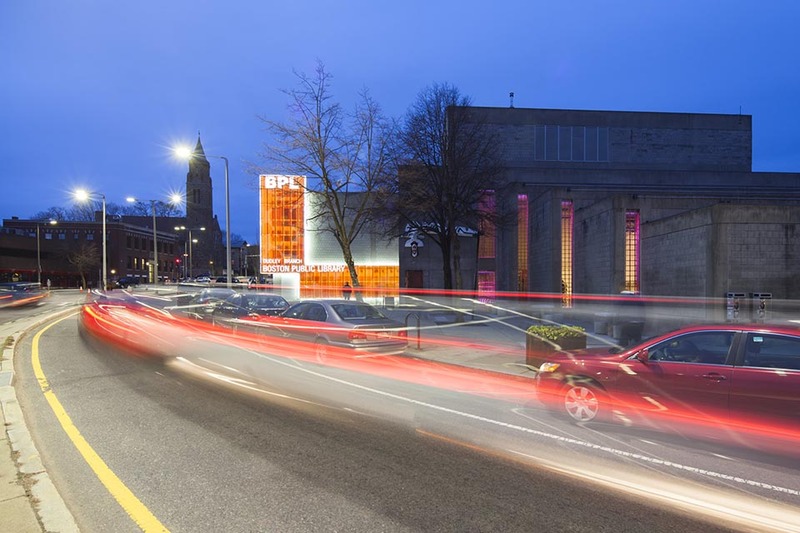 Made of a backlit custom printed perforated aluminum, the marquee fills an urgent wayfinding need for the library. 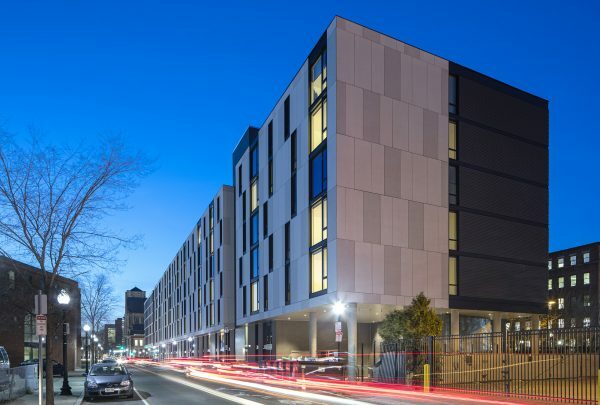 It emerges from the front door, hugging the wall to frame the approach to the entry, and ultimately rises above the building to better announce its presence from Dudley Square. 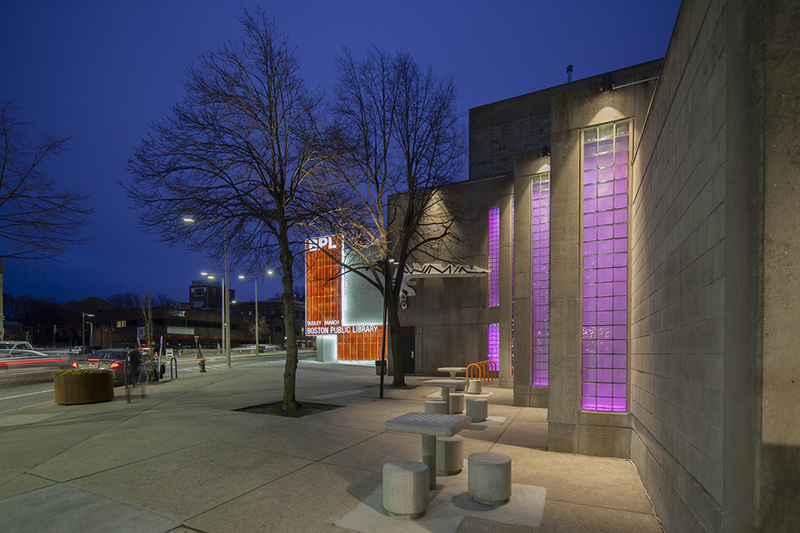 The marquee is composed of perforated aluminum and is backlit in a manner to soften what is otherwise a very cold and austere concrete and block facade. 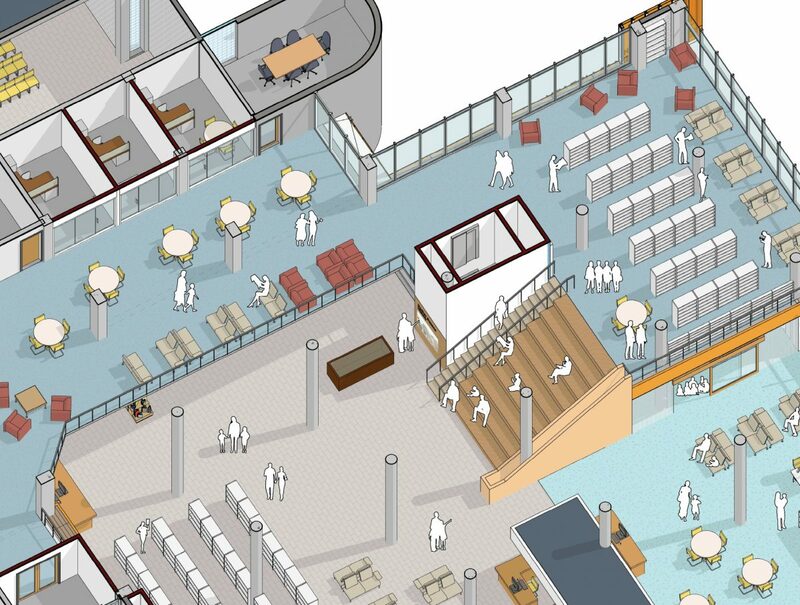 The intent is to bring the vitality of the library’s interior to the exterior of the building. Further, the custom printed graphic on the marquee works to bring a sense of warmth, texture and playfulness to the building’s exterior. The entrance design also includes site improvements intended to better define and activate the library plaza. Landscaping, enhanced lighting and street furniture are all used to enhance the public realm and make the plaza a more secure, inviting environment. 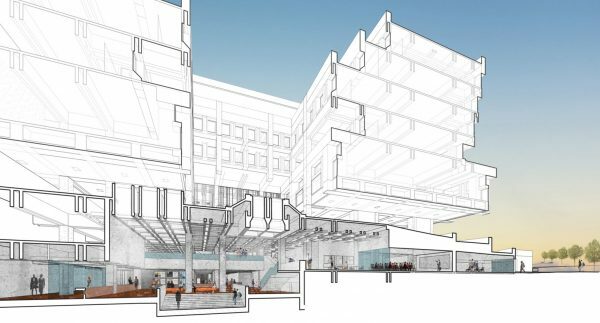 Our proposal includes connecting the two levels with a large stair that can also function as a gathering space. 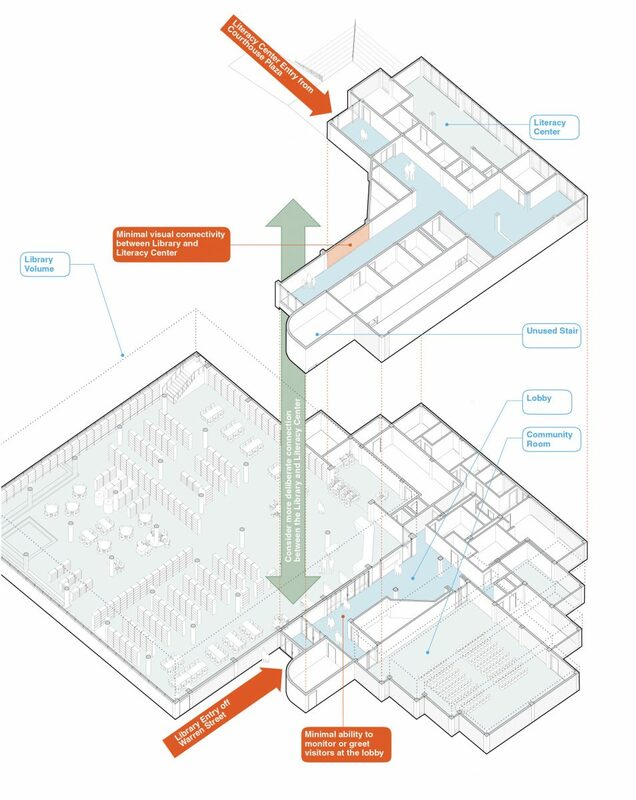 In addition to the stair, we propose creating an open mezzanine to further express the connectivity of the two levels. This axonometric illustrates the shortfalls of the existing configuration, which limits the connectivity of the two levels.